This is a busy and second biggest city of Rajasthan after Jaipur. With crowded roads and big buildings this city is known as blue city of Rajasthan. ( Jaipur is pink city and Jaisalmer is golden city ) At one end of the Nai Sarak is famous Clock Tower or Ghanta Ghar. This tower is illuminated by different color of lights in the evening. 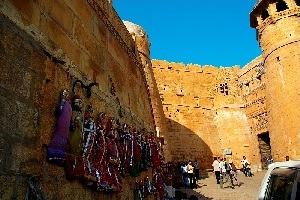 The tourist places of Jodhpur are not far from city area. You can hire a local cab or use city bus to cover different places. You can use city bus for going to Mandore garden. 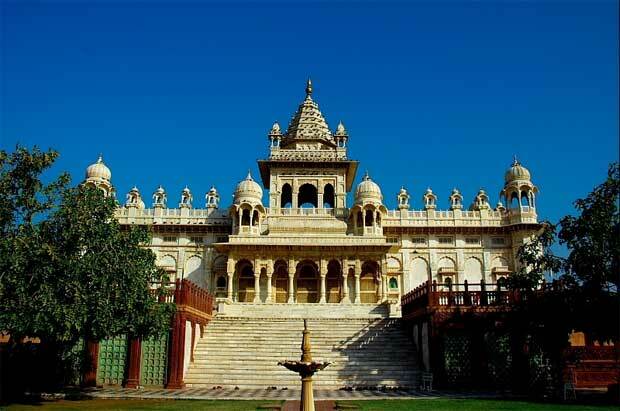 Take a one way drop for Mehrangarh fort and then take one auto to near by Jaswant Thada. One of the famous drink of Rajasthan is Lassi. This drink is available through out the state but the Lassi of Jodhpur near the clock tower is very famous. To drink this semi liquid Lassi you have to use a spoon, where as Lassi is taken as a drink by use of a straw in all other parts of the country. Nai Sarak is the busiest road and many big and small shops are available here. 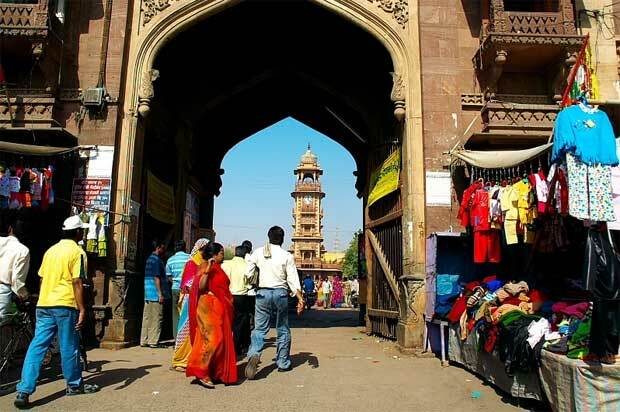 Jodhpur is one of the popular destination for shopping. Traditional Rajasthani dresses are available at a very attractive price in Govt Emporium at Nai Sarak road. For other textile items you can bargain for your best price. Jodpur is famous for its Jodhpuri dress, it is a full dress with rounded neck and hand work embroidered on it. Price varies on cloth and type of design on the dress. Another shopping center for textile is Tripolli market. Around the clock tower there is a big local market selling traditional items like bangles, shares, Chunny, utensils are some of the popular products sold here. You can buy Jodhpur shoes from Moochi Bazar. These are special decorative shoes with embroidery on leather. If you are interested in handicrafts of Rajasthan then walk in to any showroom located on the way to Umaid Bhawan palace. Jodhpur airport is located at a distance of 6 KM from the city at Ratanada. This airport is well connected to major cities of India. Local buses go to every part of the city. Main bus stand is at Raika Bagh. 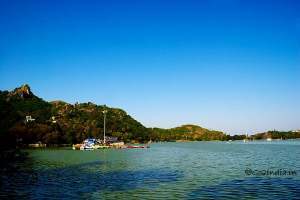 You can take a local bus to some tourist places away from the city like Mandore and Kaylana Lake. Three wheel type auto rickshaw are quite popular at Jodhpur. Throughout the city you will find these autos and no fixed rates so you have to bargain. There are overnight sleeper , semi sleeper buses to all important towns of Rajasthan and neighboring states. Advance booking for these buses can be done from many tour operators. Many travel agents are available at railway station road. Sleeper buses are best for overnight journey to distance places. In these buses there will be two sleepers side by side in one side ( driver side ) and one single sleeper in door side of the bus. Ask your agent to give you berth layout of the buses. Jodhpur is well connected by Rail network, road and by air. The railway station looks like a busy station with many long distance trains to other parts of India originating and passing through this city. There is a daily train in night from Delhi to Jodhpur. The train from Jaisalmer to Delhi also passes through Jodhpur. There is a tourist information center and a internet browsing center available in platform number 1. Download your camera photos to CD or hard disk here. 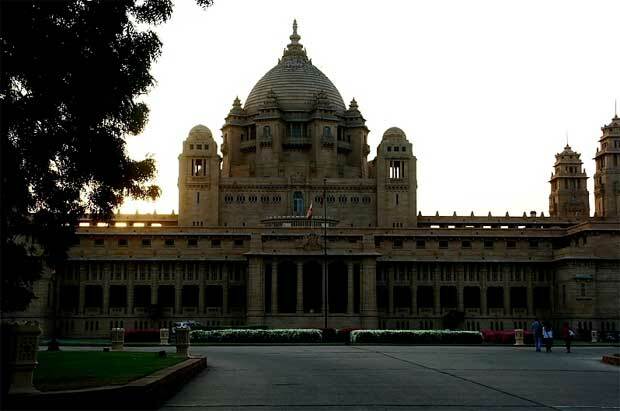 This Palace is the present residence of erstwhile royal family of Jodhpur. 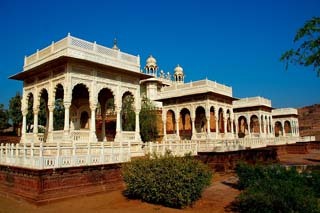 This palace is constructed by Umaid Singh the King of Jodhpur in 1920. Today part of the palace is used as museum for the tourist to visit. Central part is maintained by Taj group as a hotel and in other part the present king and his family stays. Entry is allowed to the museum only and tourists are not allowed to enter to hotel or to the private area. 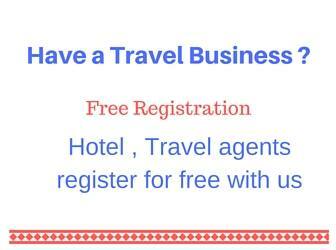 Hotel entry fee can be paid and it will adjusted against drinks and foods server in hotel. The museum has some excellent collection of watches, furniture, paintings and many other items. Inside the museum there are big painting of past rulers of Jodhpur and there is a big model of the palace kept here. There is a excellent clock collection of old days are in display here. The royal throne and some other products are in display here. Please keep a note of the closing time of this museum and plan accordingly to reach there before. This museum is closed after 6 PM but this time changes ( plus minus 30 minutes ) depending on the seasons. Buy your ticket before that and enter inside. 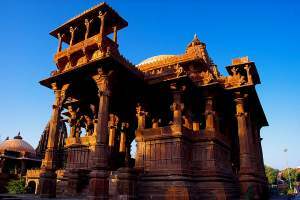 If you are a serious photographer then plan your visit in the morning as in the afternoon sun will be behind the fort and you will be facing the palace with sun at background. Remove your shoes before entering to the main cenotaph. 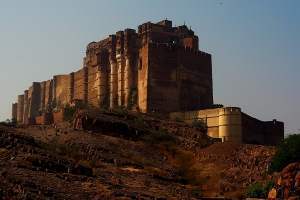 You can visit Mehrangarh Fort along with Jaswant Thada as both are located in same road and Jaswant Thada is towards right ( while going to fort ) at a distance of 1 KM. All ranges and all types of hotels are available at Jodhpur. Kisan Bhavan is one of the best choice to stay for budget travelers visiting Jodhpur. Close to state road transport bus stand at Paota Subzi Mandi, you need a copy of your id proof having address details. With 24 hours checkout option this facility is available for Rs 220 for a double bed room , Rs 360 for a AC double bed rooms. Dormitory is available for Rs 60. Blankets are available against returnable deposit of Rs 100. There is no room service but canteen inside the complex serves excellent Rajasthani food at a very reasonable price. this place is amazing to store in your eyes. you cant stop yourself without capturing single image. left it, it was mine experience! 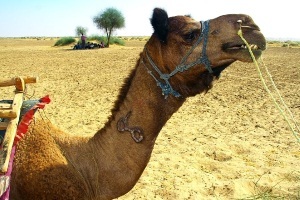 but really if you want to find purity of artist and workers, you must visit jodhpur and whole rajasthan. its my badluck that i didnt have enough cash to stay more days. but hopefully i would like to visit it once with my family.